BTC assists clients to resolve distress, failure, and performance problems of building envelope components, structural systems, and architectural elements. 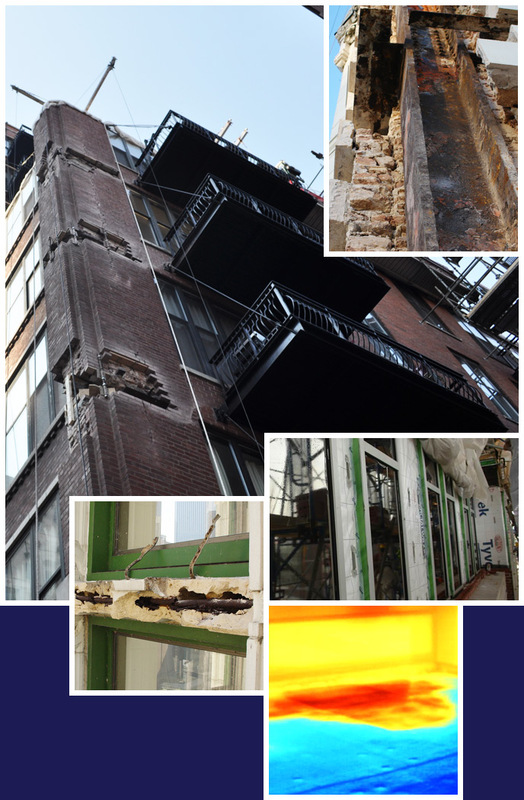 From water leakage to catastrophic collapse, our in-depth and highly specialized experience gives us a unique perspective of the complex, inter-related factors that impact building problems and repairs. Using this broad knowledge, we develop long-term innovative solutions to address our clients' needs. We also leverage our experience with building system failures to advise our clients on preventing similar failures in new buildings. We do this by providing peer review services during design of complex building envelope systems, and through building envelope commissioning. Through our long-term relationship with qualified MEP consultants, we provide integrated building envelope services. These relationships enable us to better analyze complex building performance and energy issues that involve both the building envelope and mechanical systems.